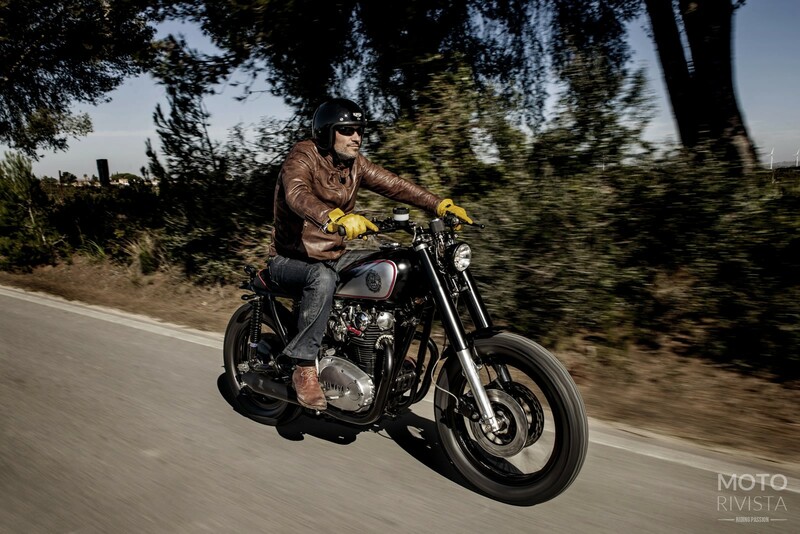 Take a step back and look at the global custom scene; what we see now is a thriving custom motorcycle culture. Thanks to those passionate motorcycle rebels who think outside the box and create magnificent motorcycles one after another. 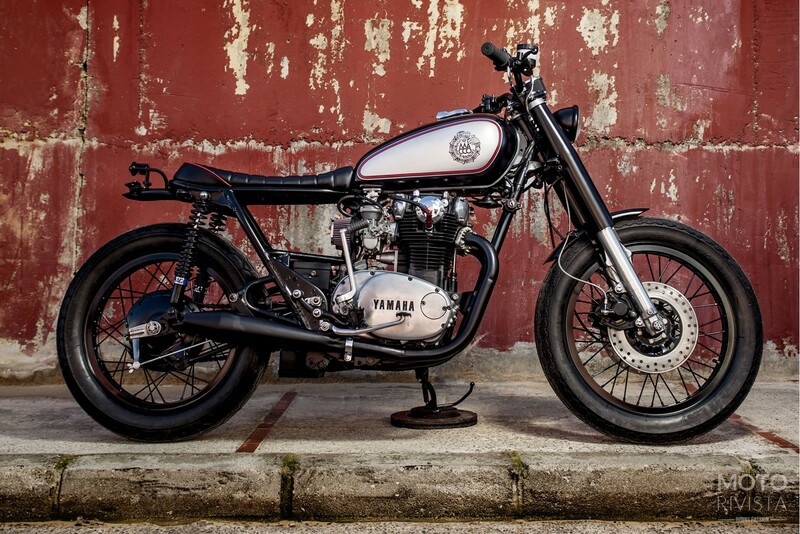 Today’s feature motorcycle a Yamaha XS650 speaks of its generation and its style, built by Jose and Tito of Macco Motors, Spain. When it comes to building custom motorcycles workshops in Spain tend to have a few things in common, there is a focus on design, attention to detail and clean lines. 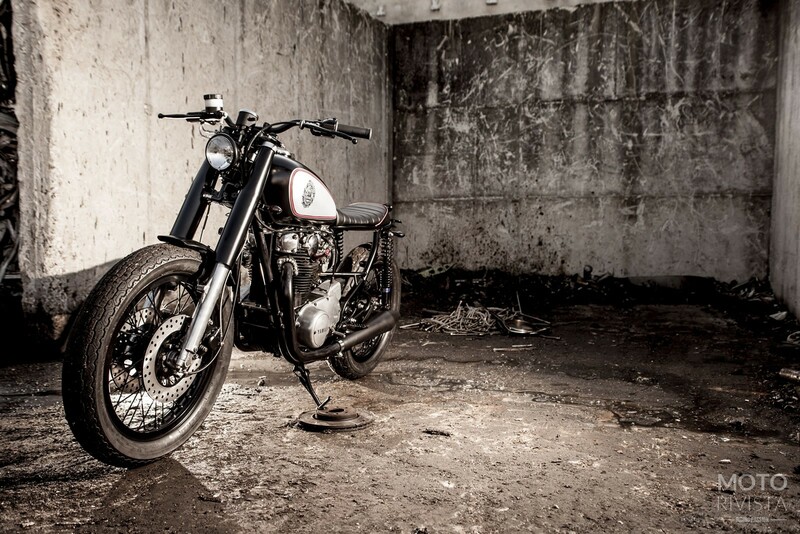 Whilst the completed motorcycle is functional, well thought out and easy on the eyes. 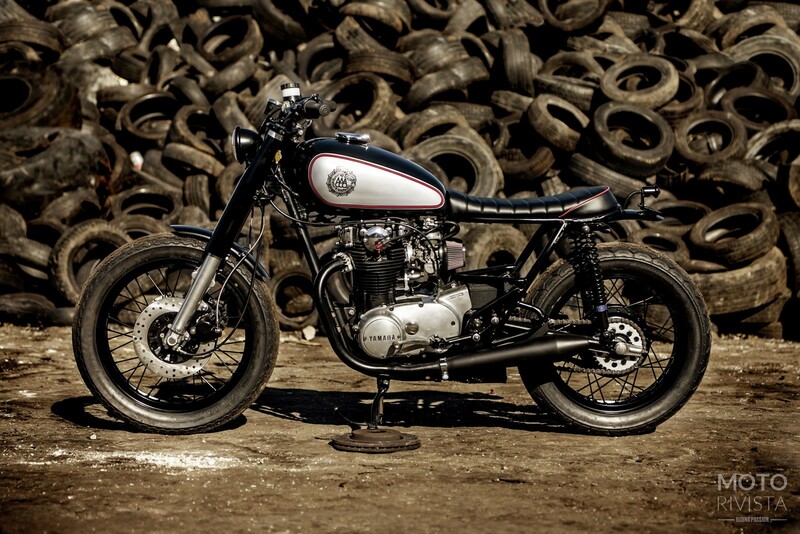 This custom Yamaha XS650 was commissioned by Sergio a Spanish engineer who is living in Mexico. Sergio already liked Macco Motors work, especially the Montesa Enduro 75 and thus a project was commissioned. 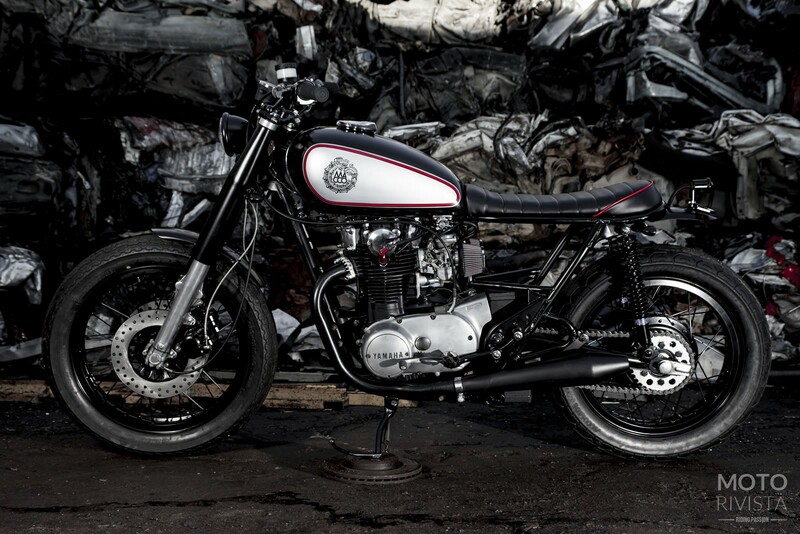 Choosing the perfect donor bike is sometimes a challenge for the customer, however Macco Motors stepped in and with their advice the Yamaha XS650 was purchased and the rest is history. “This bike was never imported to Spain but there were two in the Spanish aftermarket. The bike looks better than it really was. Too much rust below the seat, frame and front forks. We decided to rebuild it from zero” says Macco Motors. Tito along with Jose (who was responsible for the previous Photoshop designs) decided to give her a personal Brat look. Part of the customers brief was he wanted some kind of tribute to Mexico in the finished bike. Not only is the bike named ‘The Mexican’ the guys also did some research and found out about the Quetzalcoatl, the Aztec feathered serpent (Quetzalcoatl was related to the Gods of the wind, of Venus, of the dawn, of merchants and of arts, crafts and knowledge). This was then painted on the fuel tank and completes the tribute to Mexico. As for the style, at the customer’s request the bike should have a classic style, near to a BSA. Macco Motors made a cover for the front springs and also found their inspiration for the painting from some old BSA’s. To begin the build the stock Yamaha XS650 was stripped down to the engine. The engine was rebuilt and features K&N air filters, fitted with a Hooligan exhaust system. The fabrication work includes modified stock front and rear mudguards. At the front the bike features a Yamaha XS850 front fork rebuilt with Progressive springs and Macco Motors front fork covers. The handlebars are from Ranthal and the Kung Fu grips are from Bitwell. The electrical work includes the relocation of the battery box, which now sits above the modified subframe. The ignition was relocated and placed on the frame. 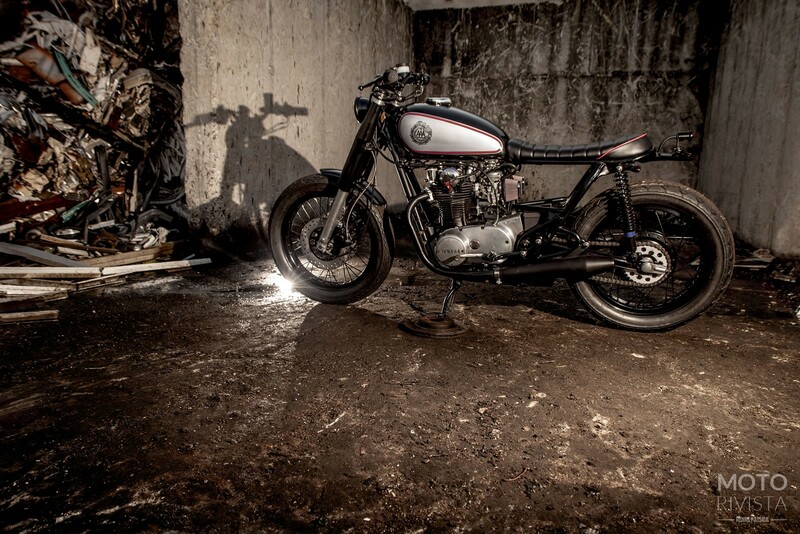 This custom Yamaha XS650 also features a single speedometer and Bates headlight. The taillight is from Mongrel and the turn signals are from Mini Cateye. At the rear the bike features Hagon dual road rear shocks, Kawasaki enduro footpegs and a Macco Motors seat. The bike rolls on Bridgestone Exedra 110 front and Bridgestone AC-04 130 rear tyres. The end result is a perfect example of less is more delivered in Spanish style. Macco Motors front forks covers, Mexican themed fuel tank and brat style seat creates beautiful lines and delivers the ultimate customer satisfaction. Packed with all the key attributes of a well-executed custom motorcycle is the completed motorcycle from Macco Motors ~ ‘The Mexican’.